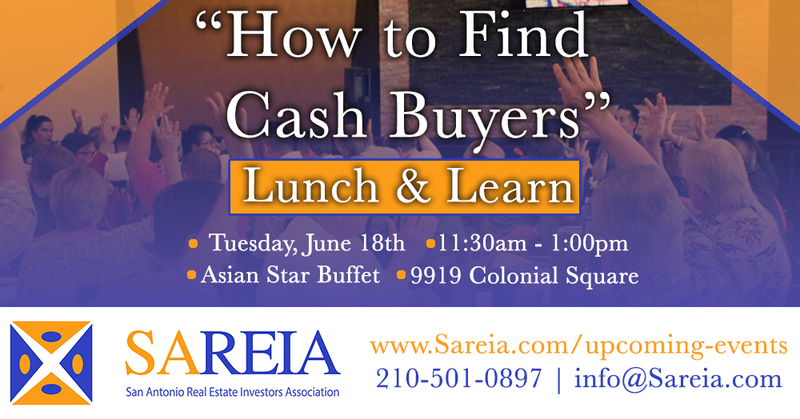 San Antonio Real Estate Investors Association - Lunch & Learn - "How To Find Cash Buyers"
Lunch & Learn - "How To Find Cash Buyers"
Please join us as we discuss how to find and build your cash buyers list. When selling an investment property you want to know what your buyers are looking for so that way you can sell it quickly. Which in return means you get your payday quickly!